Is This ‘Underground’ Pro Wrestling Series the Most Entertaining Show on TV? You know it’s fake, right? Ignore that. Forget, just for an hour every Wednesday night, the word “fake.” Suspend your disbelief again and walk into The Temple, home to El Rey Network’s Lucha Underground, quite possibly the most purely entertaining show on television. Where the champion, the massive embodiment of death called Mil Mascaras, defends his belt against the likes of a time-travelling alien called Aero Star, an ancient dragon reincarnated as a nunchuck wielding man named Drago, and Pentagon Jr., a skeleton who breaks people’s arms as a sacrifice to an evil master. Oh, that evil master, after time spent in an insane asylum, serves on Lucha Underground‘s announce team. His name is Vampiro. That’s the thing about Lucha Underground: There is no wink-wink. It doesn’t ride the weird WWE line, where the company almost seems ashamed of its own genre. 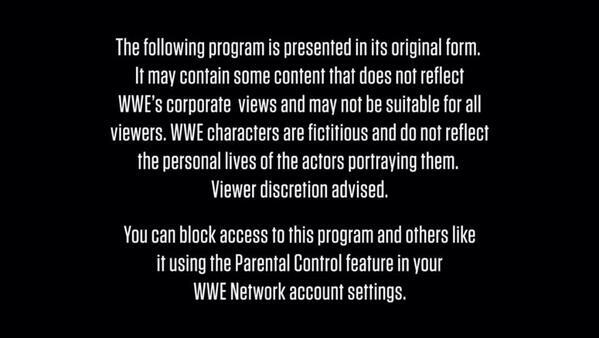 “Take this very seriously but also don’t,” WWE seems to scream. Lucha Underground utilizes backstage vignettes, filmed with genuine stylistic flair, and play out like mini soap operas (unsurprising, seeing how From Dusk Til Dawn and Machete director Robert Rodriguez both founded El Rey and executive-produces Lucha Underground). The show never nudges you in the ribs, or pulls back a curtain. When Drago steps into a ring, you’re not watching someone in a mask portraying a dragon—you’re watching a motherf*cking dragon kick someone in the face. When someone dies on Lucha Underground, it’s not an announcer yelling “What a maneuver, that killed him!” People die. Characters on a pro wrestling show are put into coffins and straight murdered. Occasionally, a deformed monster locked in a cage under The Temple eats them. That was an actual story! Yes. Yes, yes we know it’s “fake” and that’s what makes Lucha Underground so damn entertaining. It doesn’t insult your intelligence. It trusts you to stay within a storyline. Game of Thrones doesn’t put up a card so you know dragons aren’t real. Bryan Cranston never started an Emmy acceptance speech by breaking the news he is not, in fact, a meth cook. The greatest TV shows, the ones that stick with you, just tell stories, whether they be simple or fantastic. Lucha Underground‘s stories just happen to come to a climax inside a wrestling ring. Oh, yeah, the wrestling. Storytelling is great but it’s eventually just guys in tights throwing fake punches? Watch that a couple of times. Guy’s name is Angelico, by the way. No, he’s not a dragon, but dude sure can fly. There’s a reason Ringling Bros. and Barnum & Bailey have been household names since the early 1900s, that the NFL is consistently the highest rated block on TV, that the X-Games and Cirque Du Soleil still draw crowds. There is an innate thrill to watching someone come this close to genuinely dying, but surviving through a combination of absurd athleticism and a life’s worth of training. Yet pro wrestling is the only medium that still weathers the accusation of being “fake,” because a script is involved. But boil it down. Watch an hour of Lucha Underground and realize…it’s theater. It’s a circus. It’s a highly choreographed stunt scene out of Netflix’s Daredevil happening right in front of you. It’s Broadway with the danger of an underground art show. You know it’s fake, right? Funny, the best shows usually are. Lucha Underground airs on the El Rey Network Wednesday nights at 8 PM EST, or on Sling TV.